My name is Pamela Bähre-Ebensperger, I’m the offspring of German/Austrian immigrants to Chile, South America. I first started learning silversmith and goldsmith back in 2008, since then, I haven’t stopped!! I was a model since I was 14 (back to 1996) and then my career took an international path in 2001. Because of that, I was fortunate enough to live in many countries across the planet, impregnating my soul not only with original beauty but also with unique beliefs, habits, way of living, and all that could come in between…. I quit modeling when I was 30 years old (7 years ago) and it took me some time to let go of my “attachment” to my “babies” (a.k.a my jewelry), once I did (Thank Heaven!!!) I decided my contribution to this world will be one of beauty, power and inspiration. Gemstones and metals not only tore energy, they transmit, transmute, enhance and even nullify it, therefore, every piece of jewelry is unique. It represent a state of Consciousness/ Being of the bearer, and as such, they serve either as Amulets or Talismans. This is the intention behind/ beside/ above and below my creations. In the Spirit of humility I can’t really say much about me, if there’s any opinion or judgment to be formed about me, it is my preference you do it yourself. The one thing I can ay though, I that nothing makes me happier than life itself and that to be of service to all Beings and, specially, to the Greater Good, beats anything!!!!!! Art has always been an immense passion and influence in my life. From a young age, drawing, coloring, and painting would help me express myself and feel free. I grew up pursuing an education like my peers --graduating high school in the U.S. and moving on to college. I knew all along that there was something bigger waiting for me. 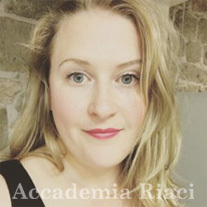 I never dreamt I could pursue my passion professionally, but after being given this opportunity at Accademia Riaci in beautiful Italy, it seems more than possible. 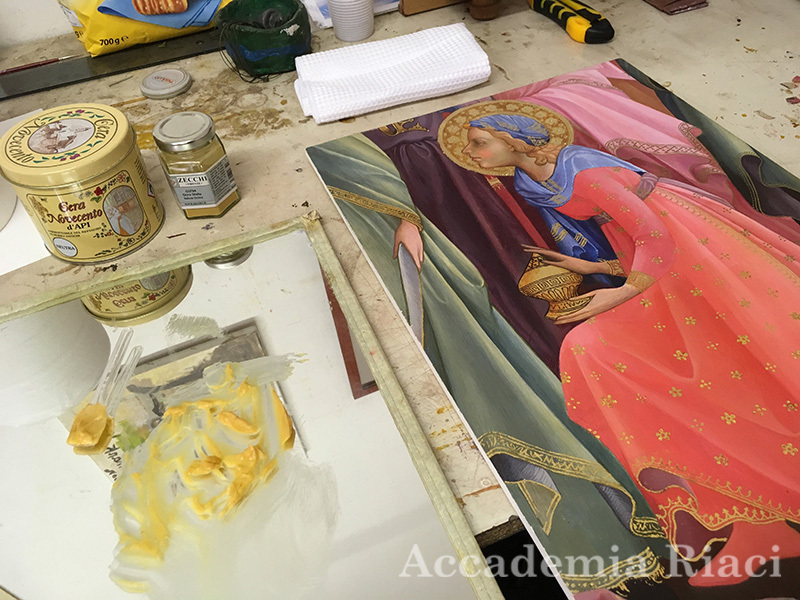 With the help of a few well-known professionals in Florence, I can continue to learn and blossom as an artist. 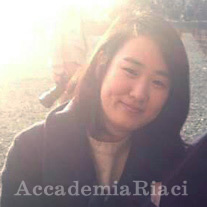 Place of Birth Seoul, raised in Lantau, 2 years at Interlochen, 6months a Crimee, and 2.5 years at Ecouen. Pursued the basics of Fine Arts education. 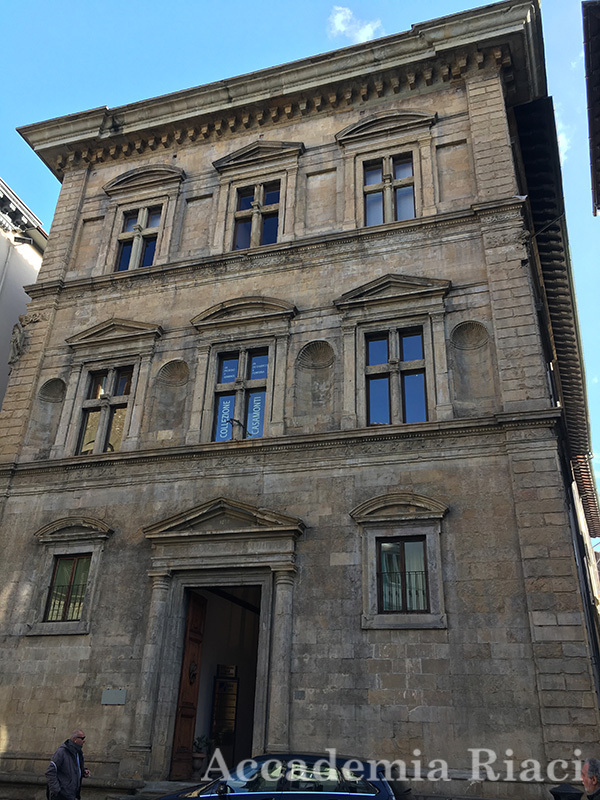 Now, based in Firenze learning furniture making and restoration. I haven’t received professional training for Jewelry when I was in university. I turned to be a jewelry designer from HR during my study abroad in Japan, and totally rely on my love for jewelry and the embarrassment of being a designer. 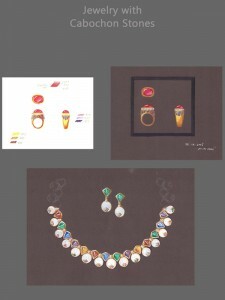 After studying jewelry design and making in Japan, I worked in Tokyo as a jewelry designer. 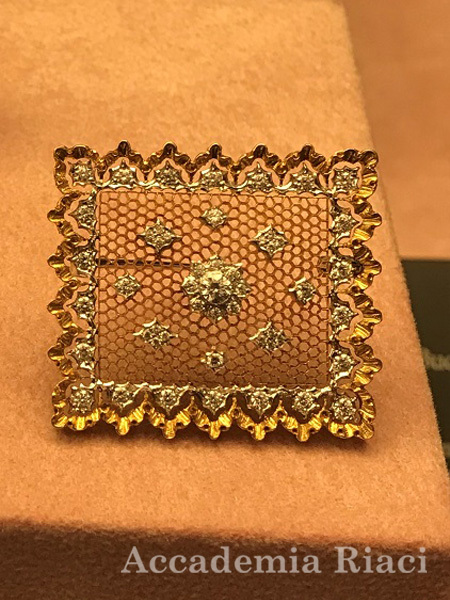 As a newcomer to the jewelry industry, there is still a long way to go, and I hope to make breakthroughs and improvements in the next six months of Italy. 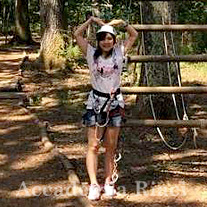 Hi I am Sophia Sanchez and I’m from the Philippines. 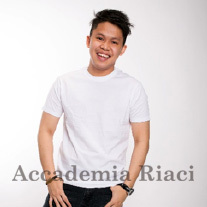 I have a bachelor’s degree in Architecture, and I also have my professional license as an Architect in the Philippines. I’ve worked in an architectural firm for a few years, and eventually tried working for a furniture designer for 2 1/2 years. 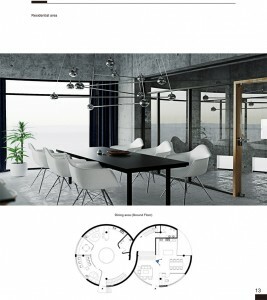 It was then I gained interest in furniture design, and decided to also pursue this. 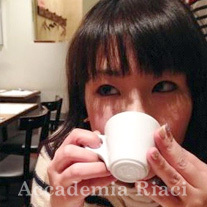 I am now taking up my Master’s in Furniture design in Accademia Riaci to boost my knowledge and learn more about this area of design. Graduated from Psychology and had no background in art and design, I took many art short courses in my country and overseas, since art and design has always been my passion since childhood. I’m currently working in a handmade textile family business for 4 years in my hometown and wanted to develop my own fashion and handmade textile brand. I participated in the International Art & Design Competition 2018 in fashion design category and came out as one of the winner of the competition. 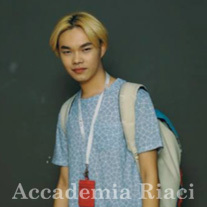 I then decided to come to Florence to study fashion design in Accademia Riaci and took an art short course for two weeks. After graduating with a Diploma in business, Ashley decided to do something she likes and turns it into her career. She has some experience in metalsmithing and precious metal Silver clay. 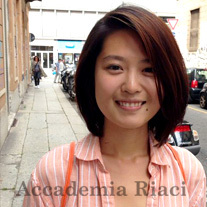 After winning the competition hosted by Accademia Raici, she started her path in this therapeutic city, Florence. 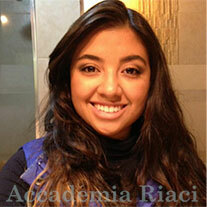 I have studied Interior Design and basic fine arts at the University of Central Missouri, the United States. After getting BA degree, I have come to Italy to deepen knowledge and skills and learn new style at the field of Interior Design. 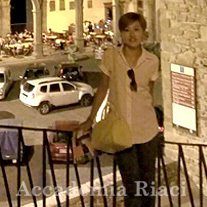 Otherwise, I love meeting new people and culture, especially Italy does makes everything classy (beautiful). I like being in Firenze so far. Ciao! Mia here. 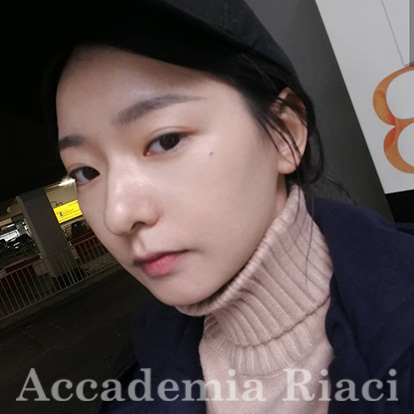 I was graduated on 2016 for my diploma, before coming to Accademia Raici I was working in an ID firm. The reason why am I choosing to continue my studies properly self-challenge, and the other hand is to find my enthusiasm for design and my own style. I hope I can discover more different things here. 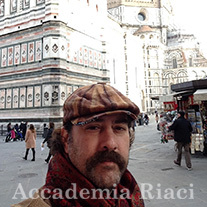 My name is Brian Lipperd I came to Riaci to get my Masters in Painting and Drawing. 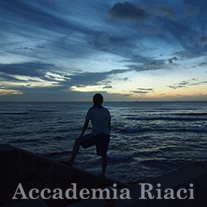 I enjoy Teaching and with this new Qualification it will open new doors for me to teach at other Accademia’s. I have enjoyed giving workshops from Art Students League New York City USA. To Scottsdale Artist School Arizona USA. Sharing knowledge with other inspired artists has allowed me to learn alongside them. My Painting career has been developing from 1993-2018. Hello! My name is Olha Vasko. I'm 28 years old. From Ukraine, live in Poland. I've been in your academy last year, and took three-day classes of bag making, and this year I came back to continue studying. And have two-weeks studying this time. 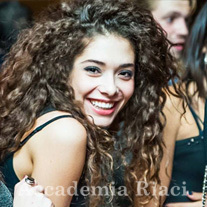 After studying in Bulgaria Scenography and Costume design, she wants very much to develop her knows and to create something fashionable. 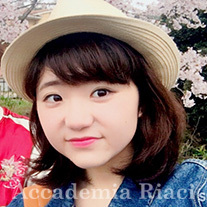 She wins the competition 2017 and start studying a short course in Florence, her dream – Fashion Design. “The theater is one big, magic and artistic world, but the fashion is the real life.” So she wants to understand the real life here in Florence. She will create a collection with motives from her nationality and will develop in her country, Bulgaria. Celine studied Fashion in Singapore and took a module in Jewellery Making and Design. 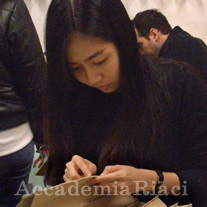 She then found her passion in it and entered the Accademia Riaci Art Competition and was lucky enough to be selected. She now studies Jewellery Making in the One Year Course and hopes to pursue her career in this field as a Jewellery Designer and Maker. After Studying a BA degree in Fashion Design in South Africa, Lara decided that she would love to study further and focus on a specific direction in the fashion industry. 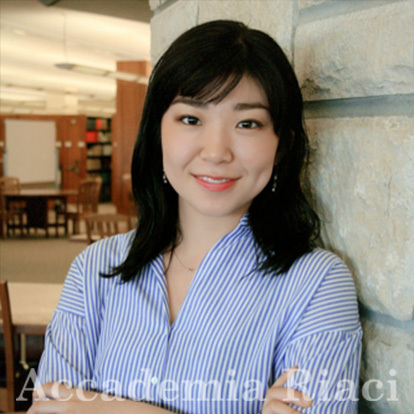 During her studies, she followed an internship at a company where she was taught how to make and design handbags out of leather and exotic leather skins. 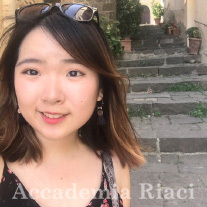 She knew instantly that she would love to study further and learn more about shoes and decided to come to Firenze, Italy, the most famous city to learn more of leather art and shoes! 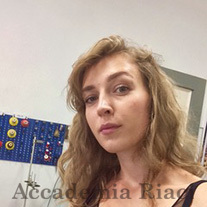 She found Accademia Riaci and knew that the shoe making course that they had to offer was exactly was she was looking for. Here she wishes to learn the highest level of shoe making techniques and to be able to follow her dream to become a designer with the knowledge of not only fashion, but also the art of shoe and handbag design. 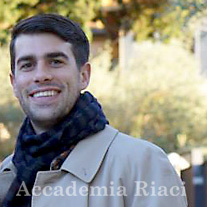 Il mio nome è Elda Arcetti, sono Ingegnere Civile, sempre mi sono dedicata a diversi Hobbies artigianali. 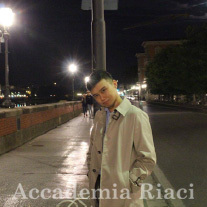 Qualche anno fa ho cominciato ad studiare Oreficeria e da questo momento ho scoperto la mia vera passione. 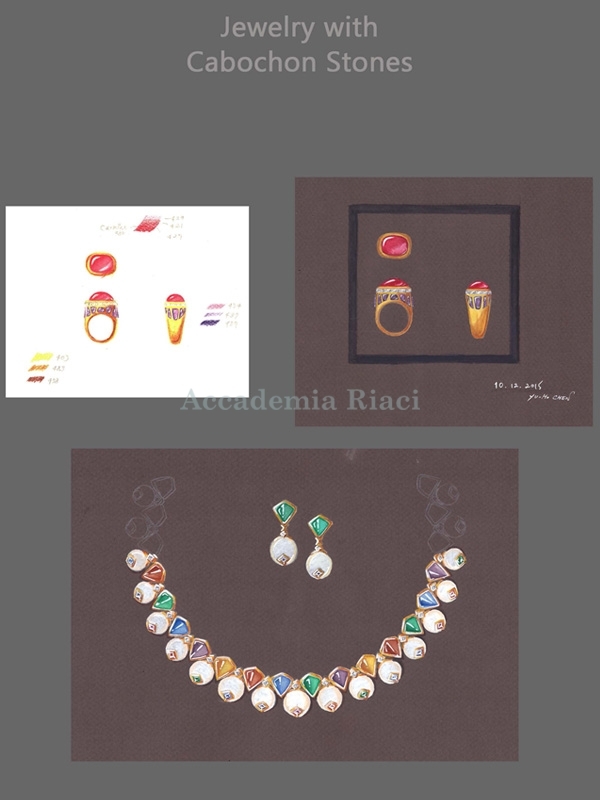 Ho realizzato diversi corsi di Oreficeria a Caracas, Venezuela, ma Io cercavo un’Accademia per poter sviluppare studi più avanzati su Disegno di Gioielli e Incisione. 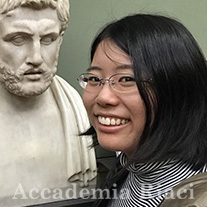 Ho cominciato a studiare un Programma di Gioielleria, de Disegno di Gioielli e Incisione all'Accademia Riaci a Firenze, Italia. 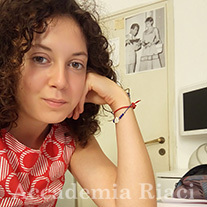 Sto ricevendo lezioni di diversi professori che sono artigiani altamente qualificati, i quali manifestano una grande passione per l’arte della Oreficeria. La esperienza che sto vivendo, mi aiuterà a migliorare le mie tecniche e poter applicarle nel mio studio. 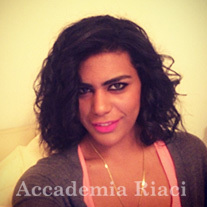 My name is Elda Arcetti, I am civil engineer and alway I had many and differets craft hobbies. Some years I started to studie Jewelry Making and form this moment, I discovered my real passion. I have done many different courses of Jewelry Making in Caracas, Venezuela. 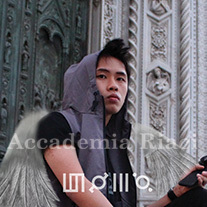 I was looking for an academy to develop more advanced studies of Design and Etching. 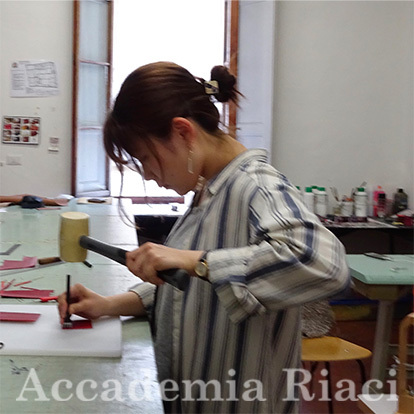 I already started a Jewelry Making program, design of jewelry and etching at the Accademia di Riaci in Florece, Italy. I am taking classes with different teachers who are highly skilled craftsmen. They have shown to me a great passion for the art of the goldsmith. The experience I am living will help me improve techniques and apply them in my own workshop. Shiau-Ting, Li. Shoes designer from Taiwan. 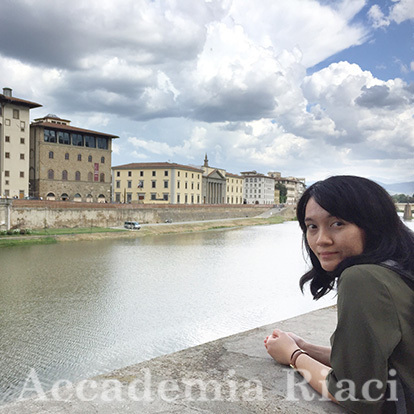 After working in Taiwanese footwear industry for three and a half years, she came to Firenze to study shoes making course, the city which is famous for leather art and shoes. Although she already has basic aesthetics and sketching technique background from university (B.A. ), yet she hopes to extend her shoe-making skills here in Riaci. 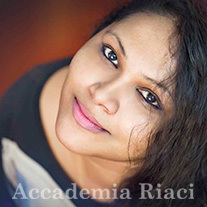 She believes designer can deliver their thoughts through their works, hoping to keep motivate people with her designs. I used to work as a wedding planner in Japan. I decided to study abroad so I can learn oversea wedding planning. 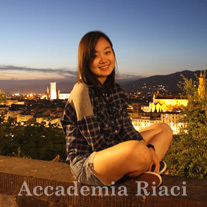 Besides studying hard, I’m currently enjoying the life in Italy very much. 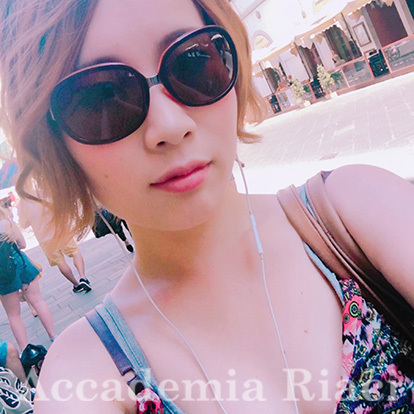 I am a student of Kansai university which is located in Osaka and I’m majoring commerce there.Graduating from my high school,I really wanted to enter a professional school to be a jewelrer though,instead, I chose the way to go to a university.But I had never give up my dream. I have came to like jewerly since I was very young.Since my father bought a little piece of crystal for me,I started to collect jem stones.Now I really want to make my stones into jewelries because they will look more precious than being just by themselves.I believe that all beautiful things would make people happy.Also,I’m super delighted if I could succeded in making someone’s smile by my handmade. 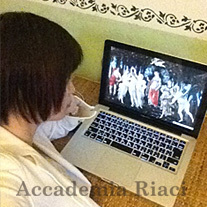 I have a strong interest in the art history of Italian Renaissance. 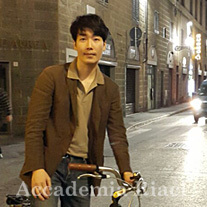 I came to Florence to appreciate historical artworks in person to learn more about the Italian Renaissance. I will focus mostly on the paintings and drawings displayed in churches and museums, and report their meanings and interesting points. 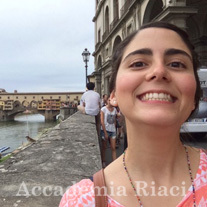 After briefly studying Fashion Design at the Arts Institute in Miami, Christine came to Florence to study shoe design/making which was her real passion. 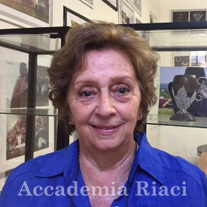 At Accademia Riaci, she began her Shoe Design course with Professor Andrea Roth, a one-time designer for the Ferragamo shoe brand. 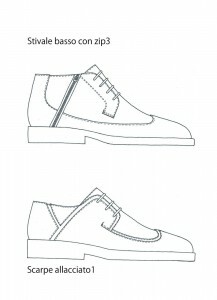 In the design course, Christine was taught all of the design elements for creating beautiful footwear. She also learned how to balance creativity with technical skills. Upon completion of the design course, she was excited to move on to Shoe Making which is taught by Mr. Angelo. I was born in Vancouver, Canada. Leatherwork and shoemaking has been an interest of mine for a long time. 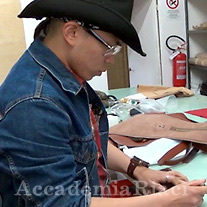 Although I have been making shoes for a number of years, I came to Accademia Riaci to improve my skills in both shoemaking and design. My plan is to learn as much as I can here in Europe before returning to Vancouver to create a label, and start a business making shoes. 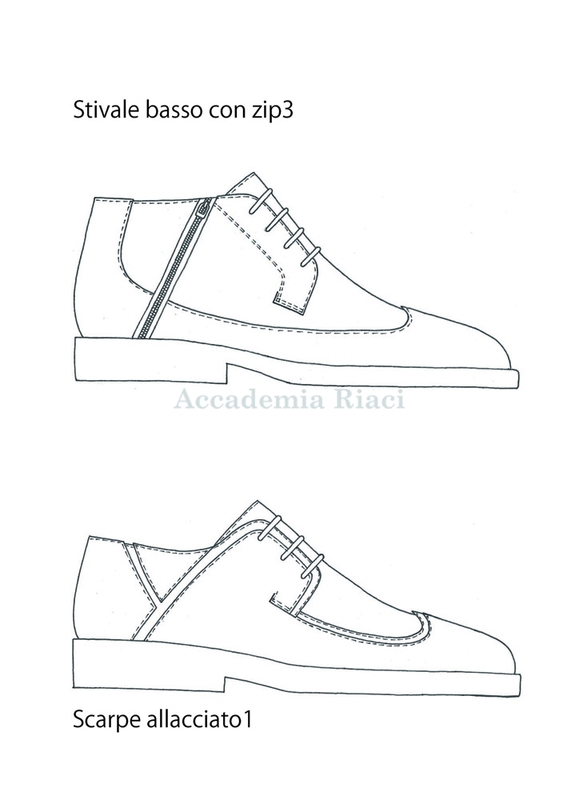 After graduation from business administration i have decided to combine my studies with my all time passion “shoes”, so i joined accademia Riaci to learn all the techniques about shoes design and making to follow my dream of having my own shoe line. 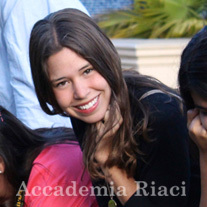 I’m Marian and I studied Business Administration. Since I was a child I liked to paint and draw, and during my degree I realized my dream. I decided to come to Italy because it is known as the cradle of art. 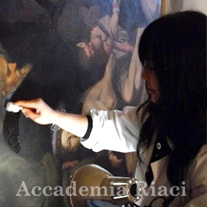 For me it ‘s a big opportunity to be in Italy and to study painting and Drawing. 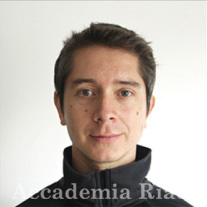 Mi nombre es Marian y yo estudié Administración de empresas. Durante mi carrera me di cuenta que me gustaba mucho la pintura y el dibujo, gracias a las clases extracurriculares que llevé y decidí ser artista. Desde que soy niña me gusta mucho pintar y dibujar y solía hacerlo con mayor frecuencia. 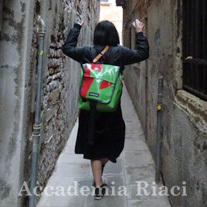 Para mi estar estudiando ahora en Italia es una gran oportunidad pues es mejor estudiar en el país donde es considerado la cuna del arte. I got a Bachelor Degree in English Communications in University of Macau. I’m a free-lance dancer and choreographer. I was facing a turning point in my artistic development, I would like to take a step forwards towards my career ambition, and furthermore I’ve been impressed and inspired by western influences while expanding my individual artistic practices. As a result I’ve decided to come to Italy to undertake the Art Management Master Course. After received a business degree in Supply Chain Management in US, I went back to Taiwan working as a buyer for 5 years. But then realized that my true passion lay with Interior Design. 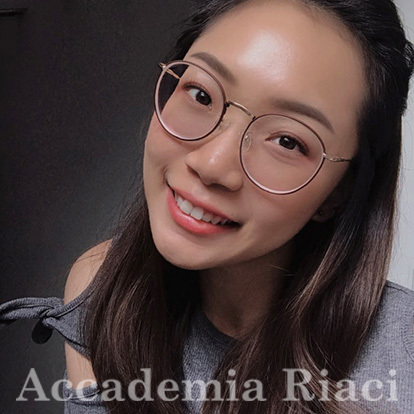 Therefore, I chose Accademia Riaci to be the school, which I believed it would help me to establish the fundamental design concept and aesthetic views in Interior Design. 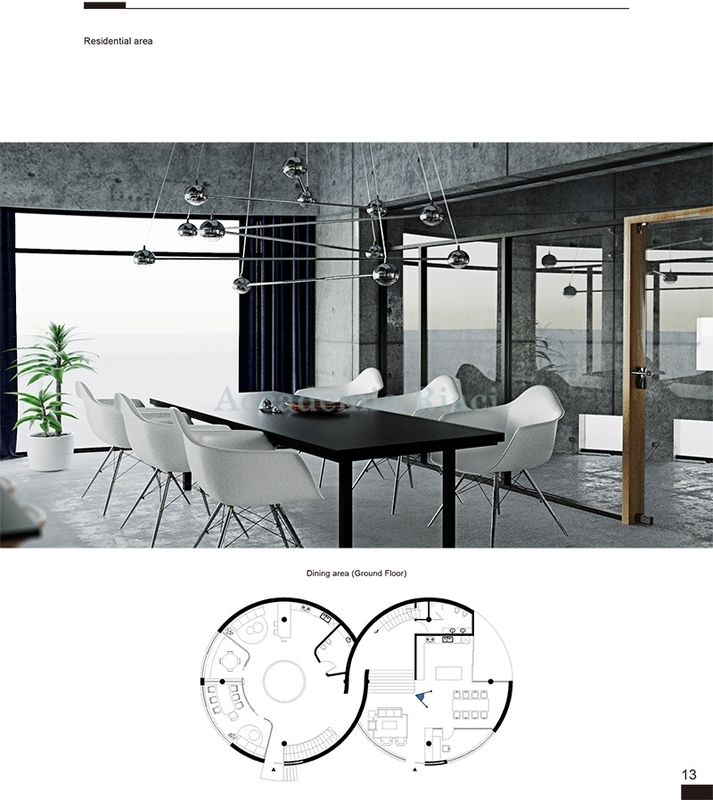 Después de estudiar Diseño Industrial en Guadalajara, Mexico, vine a Italia a tomar un curso corto de Diseño de Interiores. Anteriormente tomé un curso de Diseño de Joyería ya que me gusta mucho pero también me interesa el diseño de interiores. Es por eso que vine a Accademia Riaci a especializarme un poco más en interiorismo. 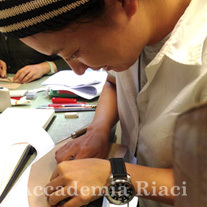 After studying Industrial Design in Guadalajara, Mexico , I came to Italy to take a short course of Interior Design . Previously I took a course in Jewellery Design and I like it a lot but I’m also interested in interior design. 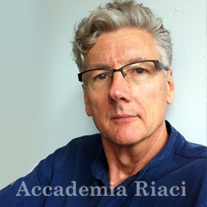 That's why I came to Accademia Riaci to specialize a little bit more. 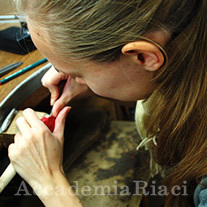 She studied jewelry making in Ecuador for 3 years, and came to Italy to study new techniques of Jewelry. 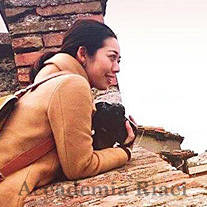 She chose Italy because Italy is the cradel of arts and place with great artists. 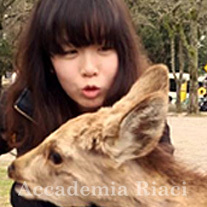 She’d also like to learn more about culture, gastronomy and Italian people. 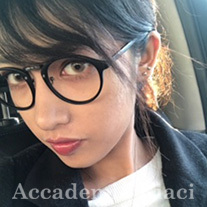 I have my own little brand in Thailand, I have seriously realized that I have to improve the quality of my products and the professional skills. 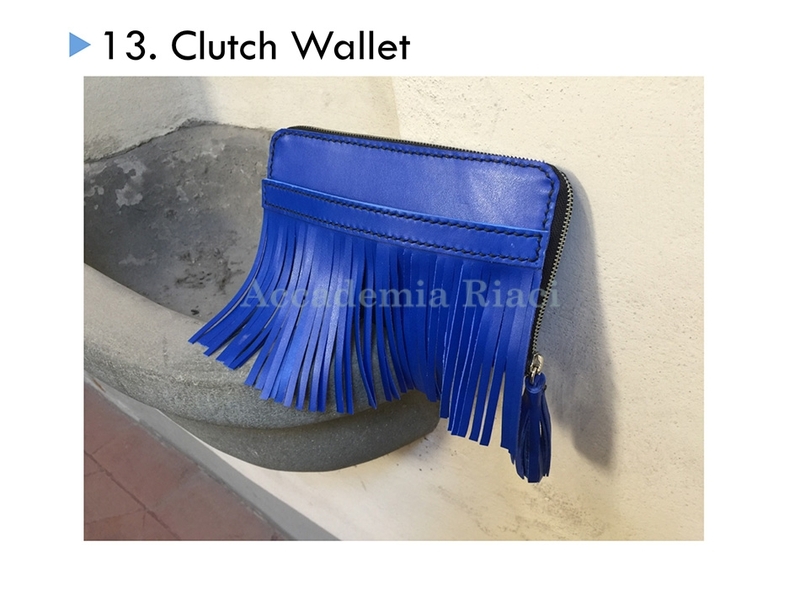 Italy immediately came into my head as It is well known for leather product.Where can I learn from the best. 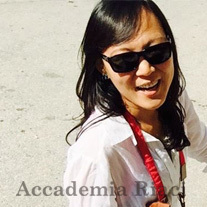 With medical background specializing in biomechanics of lower extremity, Yi-Chen Chou is interested in producing bespoke shoes for both general population and people with special needs. 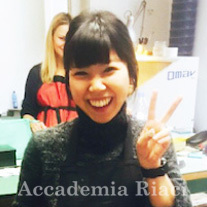 By taking the entry level of shoe making course last year at Florence, she has now equipped with the fundamental skills of shoemaking, and would like to learn more advanced shoemaking techniques as well as to integrate the gained knowledge onto prospective orthopedic shoes using customized lasts through her second year. 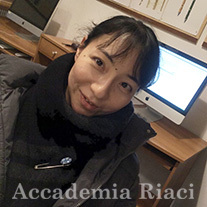 She has taken a 1 year of art classes in USA and came to Italy to brush up her skills utilizing her summer holidasy!